Well, I had an opportunity today to attend EMC inform 2010 which holds at Crown building. 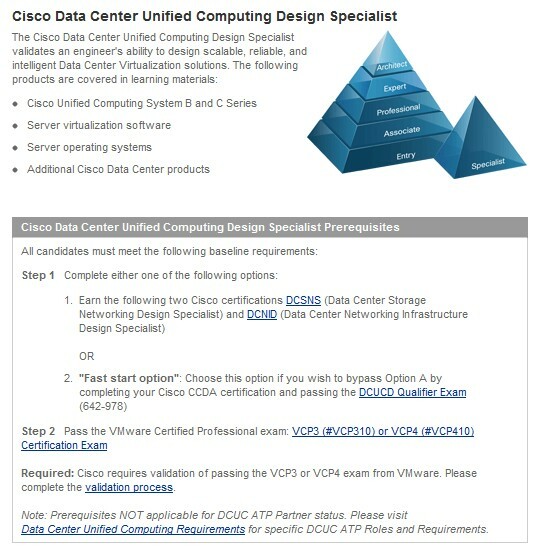 This Inform is hold by Vmware, EMC, Cisco. As what they like to call themselves “VCE”. This inform is about to push vPLEX technology, vBlock and 100% Virtualisation into market. They brought along few companies including MelbourneIT with them to testimony their new technology. Shall we push ourselves to 100% virtualisation? Basically, Vmware still try to push 100% virtualisation to public and more companies regardless the fact most of company only virtualize 75% of their production. The reason people don’t virtualize the rest of 25% is understandable. Virtualization needs to use certain amount of overhead resource to run their virtual kernel and that’s inevitable. Some software like SQL, Exchange, and ERP system are still using physical boxes because major advantage of virtualization, which is consolidation, is not long goal you can get when you virtualize those servers. According to one of CTO who gave the speech during the inform, the best practice for virtualizing those servers is to give them a dedicated box to run. Meaning, you are not only pay for the MS license, you also need to pay for extra Vmware license cost. So Why would you virtualize the rest of 25% production? The answer is DR system. According to EMC CTO, EMC is ready to implement VPLEX Local and VPLEX Metro technology between 2 SAN systems. (for now). Once you can duplicate your large caches of SAN in two different geographic location, Vmware Site Recovery Manager (SRM) can kick in and make Vmware DR easy and possible. Meaning if you want your Exchange, SQL and ERP to have a good DR, you need to virtualize 100% your production although you have to pay quite a bit for extra license, SAN and datacenter rent. So it’s really up to business and how far they want to cover their bottom. Well, I believe it does. It doesn’t matter you call it virtual storage layer or vm teleportation or VPLEX, but it does help you to storage vmotion a VM from one SAN to another SAN (distance less than 100km) in just 7 minutes. Yes, we can do it without VPLEX, but it will take up to 1.6 hours! I personally reckon the best speech during this inform was not from EMC nor VMWARE, it was from CTO of Melbourne IT. Melbourne IT has more than 5000 servers and half of them are virtual machines. They are Web hosting company which generates 5TB Internet traffic per day. One story CTO of MelbourneIT gave to us was the website of CFA (Victoria Country Fire Authority). Victoria had very bad bush fire in 2009. When bush fire happened at first day, only few thousands people visited this website. After few days, it became national news so visitor numbers increased from few thousands to 10 thousands. After few more days, this actually become global news. It’s like most people in this world thought the whole Australia was on fire. The website had 20 million visitors in one day! This amount of visits crashed the hosting server easily because MelbourneIT never expected this kind of traffic. So after only 11 minutes, MelbourneIT was able to migrate the whole VM to another datacenter via SAN replication link. The VM was transferred to much large datacenter which is capable to handle large traffic and be alive since them. Once the traffic backed to normal, Melbourne IT was able to transfer this VM back to low cost, slow speed tier. Awesome, isn’t it? The link they have for SAN has 50ms latency and less than 100km distance. 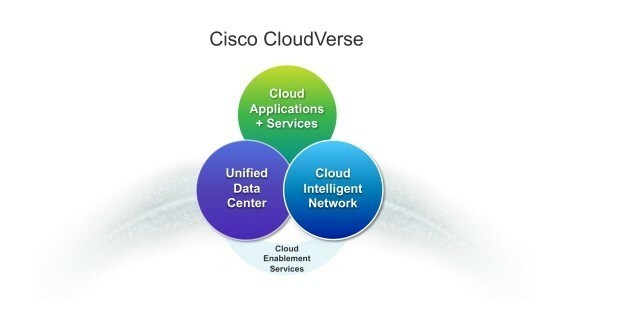 Accelerate the journey to private cloud with integrated packages combining best-of-breed Cisco, EMC, and VMware technologies. These packages are jointly tested and supported to deliver optimal performance and reduce operational expenses. Vblock 2 delivers high-performance, large-scale virtualization across data centers of large enterprise customers. Vblock 1 delivers performance and virtualization for large or midsized companies and is suitable for data centers of any size, including remote-office locations. Vblock 0 is an ideal platform for companies that want an entry level configuration for small data centers, remote locations, or as a test/development platform. 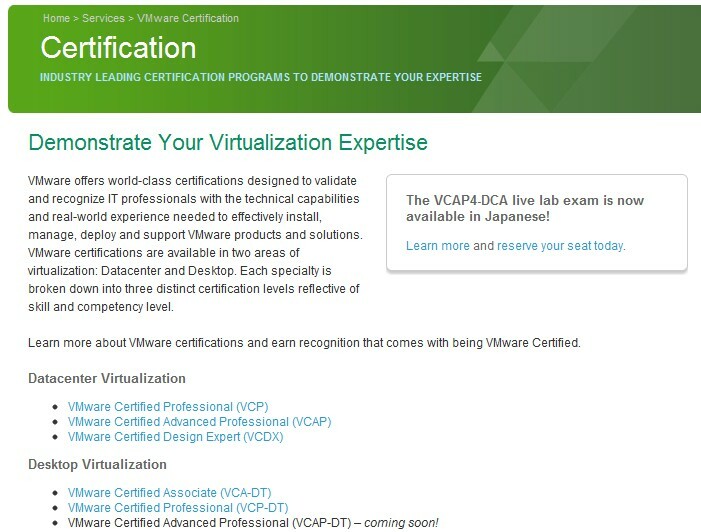 In short, vBlock is a central management of “VCE” system. It uses one application to management and control multilayers. As EMC (as storage), CISCO(as back bone) and Vmware kernal tried to talk to each other, we need a system to manage all running jobs. Also, vBlock can be used for private cloud to communicate with public cloud or 3rd party cloud. To prove this case, One of guys from Optus made presentation regarding one of their client (a university) to integrate with Oputs Cloud. But he didn’t give us more details as what exactly T1 applications running on it so I don’t really buy it. EMC Inform is really a single company show (Vmware belongs to EMC) and they try to push VPLEX and VMWARE DR to market. For VPLEX, I believe you can use it to replicate Datacenter and VMWARE SRM is possible but not cheap. For the cloud, I guess we still have to wait and see how it goes in next 5 years. Please leave your comments if you like. 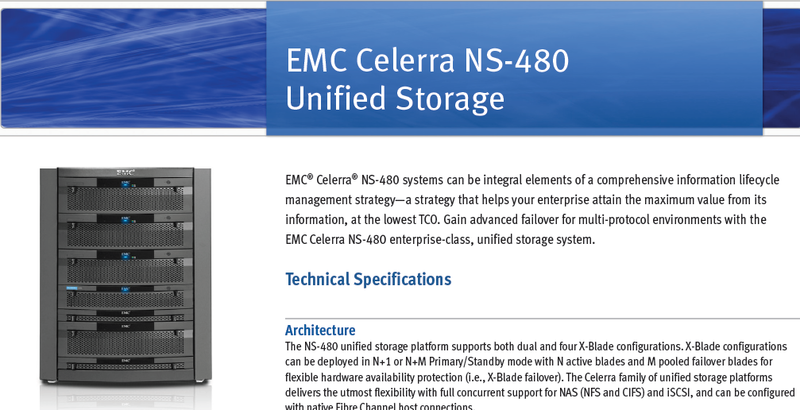 What EMC can offer us in 2010? Just read tons of information about EMC World 2010 Boston. EMC has developed lots of new technology and provision for 2010. Let’s check out briefly. This technology is basically design for distant SANs to synchronize each other. It makes VMWARE DR site runs parallel possible since the second SAN doesn’t do everything as the first SAN did. 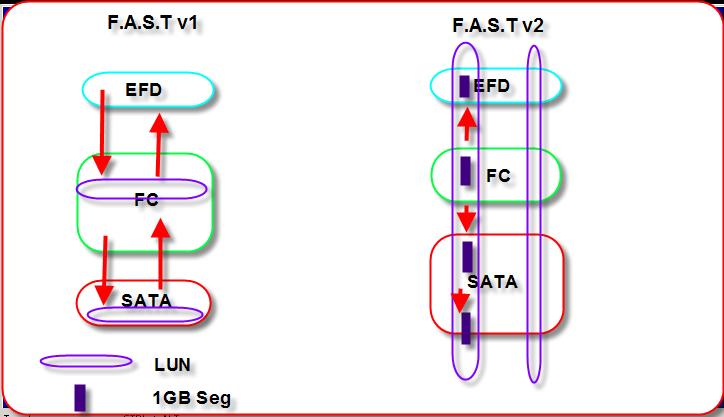 The second or other SANs will understand what have changed in the storage level and make change according that. And it supports asychronous replication. Comparing with NetApps (it claims they can do remote distance SAN cluster as well), EMC said they can do more than 2 SAN synch. For the FAST 2 technolog, I didn’t see much new features as it just utilized Flash cash “better”. Block Level compression does sound interesting (essentially, it compress all “0” on block level) but how come EMC still doesn’t support block level deduplication as what NetApps does ? According to EMC, block-level compress can server better in daily production because it uses less time and easy. But block-decuplication is better in using backup. Common management console is only design for user who owns Clariion and Celerra system. So you will have centralized management tool to work. 3. New Backup support (DD Boost). Finally, this is a good news for Vmware owner we can speed up our backup speed up to 50%. By installing this software on your backup server (so far, backupexec and Netbackup from Symantec), your backup software will have metadata of your SAN data and understand where and how your data store. It can make deduplication level happening in SAN level (not VM Level). So this is another deep integration. It’s not only support vStorage API and it also supports thin provision stun (it hold vm if vm exceeds disk space, so other vm won’t crash), fast/full clones (SAN level clone instead VM clone), write zero/write same (SAN level snapshot or clone and SAN level eagerzerothick disk). 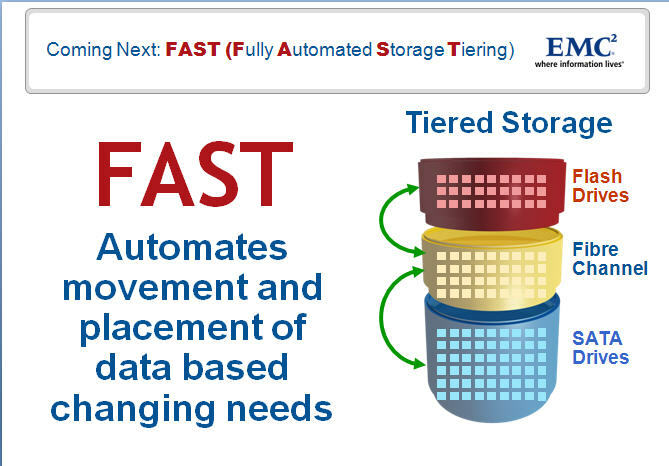 From brief review, EMC started to integrate VMWare technology from core level regarding clone, copy, backup. It does make progress on distant SANs (more than 2) sych but most of users will still wait for best practice coming out. However, EMC still doesn’t support block level deduplication which I personally very confused. I guess that’s where NetsApp find crack.